What Type of Extruder Do You Need? For plastic film, a material that’s commonly used to create pouches and bags used in flexible packaging applications, all that you’d need is a plastic film extrusion machine. There are various manufacturers that build these types of machines. One thing to note about these machines is that they’re a very expensive capital investment, as they can cost hundreds of thousands of dollars. Another thing to note is that these machines can create a variety of different plastic film types, such as polypropylene, polyethylene and films of various barriers. They’re a great fit for suppliers and converters of packaging. For instance, a supplier might simply create the film via extrusion and sell it to its customers, who are the converters. Or a converter may decide to purchase a machine so that it can do everything in house – create the plastic film, create the pouch and/or bag and then print on the package before sending it off to be filled. Brass: Rods, auto parts and pipes are commonly created with such parts. Copper: Plumbing, rods and tubes are popular products that are created thanks in part to extrusion. Titanium and magnesium: Parts used in the aerospace industry are common byproducts of extrusion. Lead: For things like wires and cables. Steel: Similar to aluminum, steel is often extruded to help build rods and parts of railroad tracks. If you’re looking to produce ceramic pipes, tiles or bricks, then you’ll likely need a specialty clay extruder. These types of extruders are generally less expensive than the extruders that you’ll need to have on hand to extrude plastic film and metals, as clay extruders generally cost anywhere from several hundred to several thousand dollars. Minimizing toxins and microorganisms within the food. Depending on the industry that you’re in and the type of extrusion equipment that you’ll need to produce your desired final product also depends on how much you can expect said equipment to cost. Needless to say, but some extruders are more expensive than others. For instance, a plastic film extruder might run hundreds of thousands of dollars, while an extruder that can process ceramic runs several thousand dollars. Regardless of what type of extruder that you need for your operations, the cost of acquiring a new one can be a lot for a business to stomach, especially if this business is just starting up or is forced to purchase a new machine unexpectedly. Thankfully, there are other options out there. One of these options is the credible, used and refurbished industrial and commercial equipment resource, Bid on Equipment. The comprehensive resource allows people to browse the selected equipment – many of which areextruders – and make a bid to acquire the equipment for a fraction of the actual new retail price. Think of it as getting like new equipment for a used price, something that can come in handy for many businesses, whether they’re just starting up or have had an unexpected breakdown in current extrusion equipment. 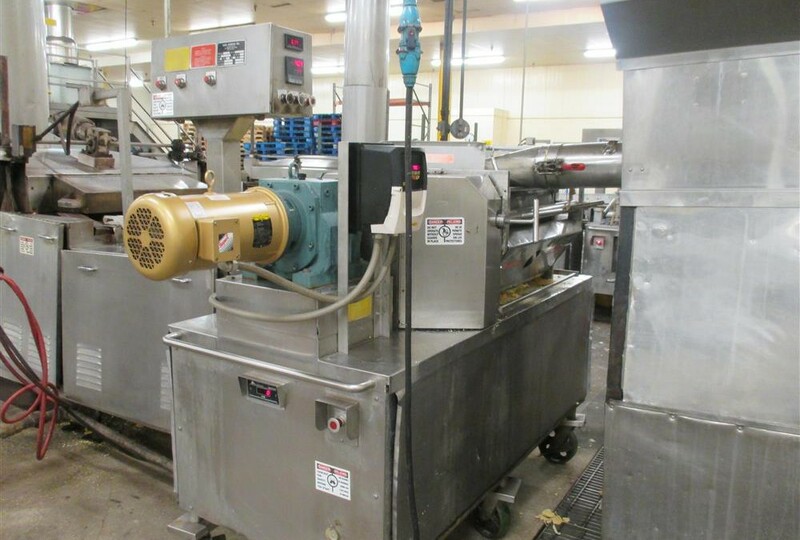 For more information on extrusion equipment, and to browse our library of extruders that are currently available and up for bid, visit Bid on Equipment today. With how popular chocolate has become, it shouldn’t surprise you that it is produced throughout most of the world. In fact, the industry, as a whole, is growing, and is valued at about $50 billion worldwide. Domestically, the chocolate industry is valued at about $20 million, with big providers such as Hershey’s and Mars combining to generate more than half of this just by themselves. But that’s not to say that other companies aren’t out there also making it, domestically and abroad. As you can see, because of chocolate’s popularity, there’s the need to produce it in large quantities – it’s the basic rule of supply and demand. But in order to produce it, you need to have the right quantities on hand. In this post, we’ll take a closer look at some of the equipment that you’ll need in your facility if you’re planning to produce large quantities of chocolate. Roasting Oven: If you’re just making small quantities of chocolate, your standard house oven is good enough for this task, as temperatures between 200 and 350 degrees Fahrenheit suffice just fine in terms of whatever type of chocolate you’re looking to produce. While all steps in the chocolate production process are important, roasting is perhaps the most important – as it is the step that is most related to the final flavor of chocolate. Roasting also eliminates any bacteria and removes any water from within the shell, which makes it easier to separate from the nib in subsequent steps. For producing chocolate in large quantities, a commercial oven is almost always the way to go in terms of maximizing efficiency. Cracker/Automatic Winnower: Following the roasting process, the cacao shell is puffy and crunchy – and being that it serves no purpose in the production process from here on out, it needs to be removed from the nib. Back in the old days, this removal was completed by hand. But these days, it’s much more efficiently done with a specialized cacao mill, which cracks the shells, and then by using an automatic winnower, which is used to adequately separate shell and nib. Hand peeling and separating is inefficient, usually taking about an hour to do a pound of cacao shells. Using these appliances is much faster, especially when you’re looking to produce the end product in large amounts. Grinders: Following cracking and winnowing comes the grinding step, where the remaining nib needs to be ground into chocolate. If you’re making chocolate a home, a juice maker or a mixer works well for this step. But if you’re making chocolate in large quantities, you’re obviously going to want something that can handle a little bit more volume than just a standard juice-making machine. This is best done with either a specific chocolate grinding machine, a ball milling machine or a standard industrial grinding machine that is able to process chocolate. Tempering: After grinding, the chocolate is mixed. But after it’s mixed, it needs to be hardened. This is done through a step known as tempering, and this is generally the most difficult step in chocolate production. We’ll spare you of all the scientific details that help justify the importance of this process, but generally tempering consists of melting the chocolate, forming seed crystals, adding the said seed crystals into the chocolate and then eventually letting the chocolate solidify. 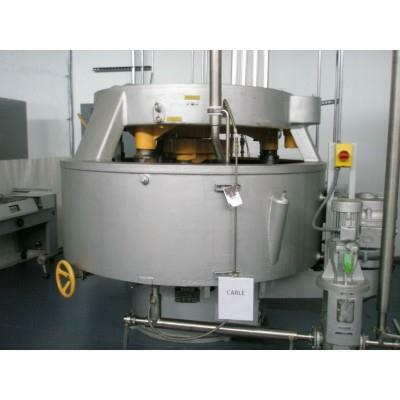 Chocolate tempering machines are sold in all different sizes. Just as you’d buy a mixer or juice maker to grind chocolate in a home, you can find a small, household tempering machine for making small batches of chocolate. For the big chocolate producers, however, commercial tempering machines are the best way to go, as they’re larger and can produce larger quantities of it. Now that we’ve briefly described all the equipment that’s necessary to make chocolate – as well as the purposes that they all play in production – it’s important to note one important factor as it pertains to the hardware that is needed to make chocolate in large quantities. And that all-important factor is cost – specifically that all of this equipment can really add up in capital investment. These high costs for this equipment can really put a strain on a business from a financial perspective. It’s easy to see why this is so, what with such equipment costing thousands to tens of thousands of dollars. That’s why a viable alternative to buying brand new in the case ofchocolate production – or when it comes to any type of large commercial equipment, really – is to buy such hardware used. At outlets like Bid on Equipment, we sell it at a fraction of the used price. This thereby allows companies to acquire the equipment that they need, while saving money in the process and while still getting a good, quality piece of equipment. Think of it like getting a like-new machine at a used price, as it’s a win-win scenario. For more information on the production equipment involved in producing large quantities of chocolate, and to browse the selection of chocolate production equipment offered by Bid on Equipment, visit or contact the company today. Bid On Equipment Year In Review: 2015 Top 5’S! We have hit the ground running for a Strong 2016 and are here ready to help you grow your businesses! Youtube 263 Subscribers and over 313,000 views! As always, if you have any comments or questions please use Contact Us or call us at 847-854-8577. What has been bringing buyers to Bid on Equipment through the month of December and what are they looking for when they are here? This last month we noticed a large increase in interest inBakery Equipment including Bakery Ovens, Bakery Mixers, and Dividers and Rounders.